He is the first man since Eric Cantona to win back-to-back top-flight titles in England with different clubs, the recipient of English football’s most treasured individual awards and was recently described by Frank Lampard as the world’s best midfielder. For N’Golo Kante, the compliments keep coming. He has already been recognised by his peers as the PFA Player of the Year and last week he received the equivalent prize from the Football Writers’ Association. 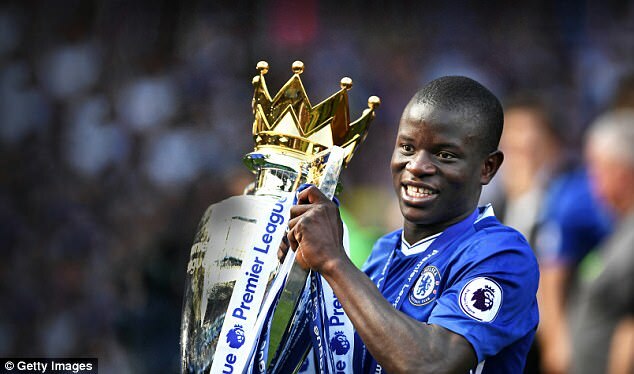 Kante is only the sixth central midfielder to win the PFA prize, joining Steven Gerrard, Roy Keane, Peter Reid, John Wark and Terry McDermott in the 43-year roll of honour. 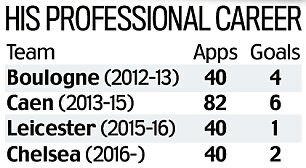 Chelsea have sky-rocketed with him and Leicester threatened to implode without him. Yet, there was a time when adulation was hard to come by for Kante, when rejection was the order of the day. During his mid-teenage years, Paris Saint-Germain, Rennes, Lorient and the national Clairefontaine centre all took a look and turned away. Only six years ago, Kante was toiling away in the ninth tier of French football, fearful that the sport might leave him behind. 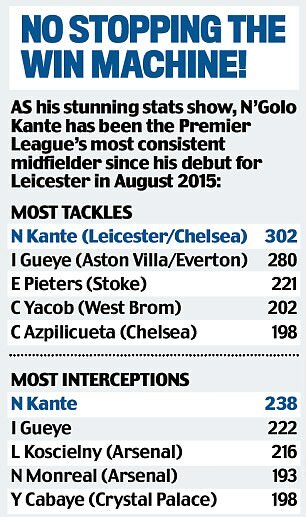 For context, Kante’s rise is the equivalent of a 19-year-old from Wisbech Town, of the United Counties Premier Division, climbing nine tiers of English football and pitching up as a title winner. It is a trajectory that defies sporting logic. 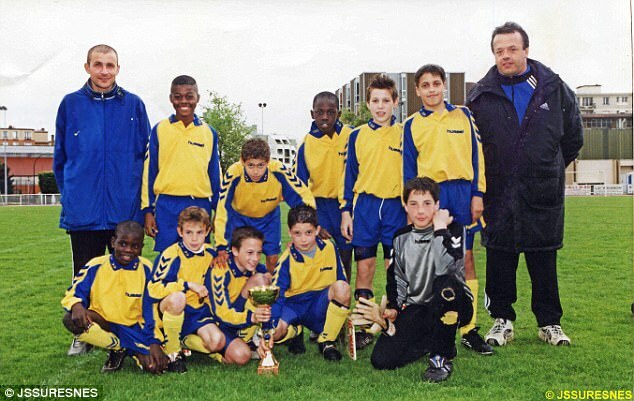 ‘Absolutely nobody thought he could get to this level,’ admits Pierre Ville, the secretary of Jeunesse Sportive de Suresnes, where Kante started aged nine. Kante grew up on the outskirts of Paris after his parents left Mali at the beginning of the 1980s. Suresnes is high up on the slopes of Mont Valerien, blessed with spectacular vantage points overlooking the French capital. The streets are lined with horse chestnut trees, refined boulangeries and expensive charcuteries. Think Wisteria Lane, with immaculate gardens and middle-class housewives parading the walkways with their pooches. The Kante home, however, was a modest second-floor apartment at the end of the estate. 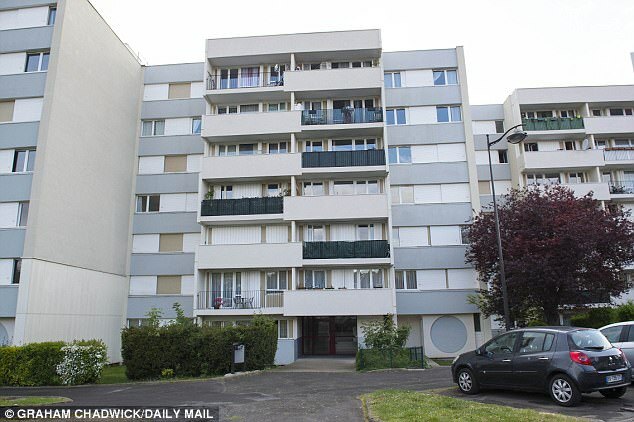 It is there where N’Golo grew up with his eight siblings. It was, friends say, a tight squeeze. ‘He’s had to fight for everything,’ says Ville. For Kante, it has been a life touched by triumph and tragedy. Aged 11, Kante suffered the pain of losing his father, so his mother has been the major force in his life. Madame Kante would rarely be seen at the stadium in Suresnes. Kante came along by himself for his first training session, where he was immediately promoted into an age group one year older. Ville explains: ‘He was the blue-eyed boy, protected by everyone. His eldest sister sometimes brought him. He never answered back, he hardly ever got a yellow card and he was always available. The truth, however, is that we couldn’t get him into a professional club. Ville is not exaggerating about Kante’s height. Still just 5ft 6in, in some early photographs, he appeared almost impossibly small besides his more developed teenage friends. ‘You cannot imagine the force of his determination,’ Ville continues. ‘He was desperate to get to the top. PSG wouldn’t look at him. No regional teams took a second glance at him. I was thinking, “How can’t they see this quality?” It wasn’t a question of fear, though, for me. He had the quality and his time would come. 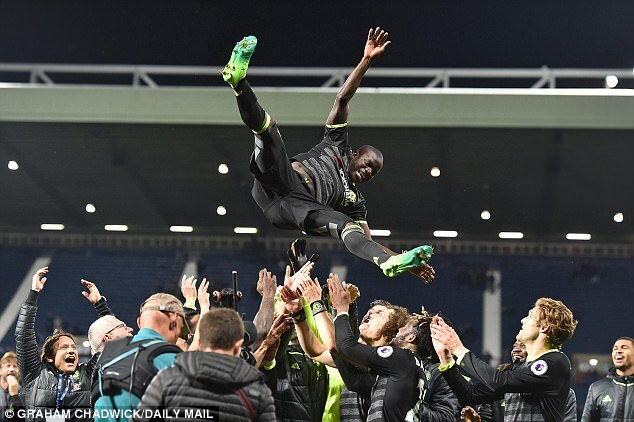 Kante is Chelsea’s running man, the fuel that has powered the title push. He has a passing accuracy of 89 per cent, is second only to Southampton’s Oriol Romeu in the number of Premier League interceptions by a midfielder and is behind only Everton’s Idrissa Gueye for the highest number of successful tackles. Although his height attracted doubters, his athleticism has always impressed. 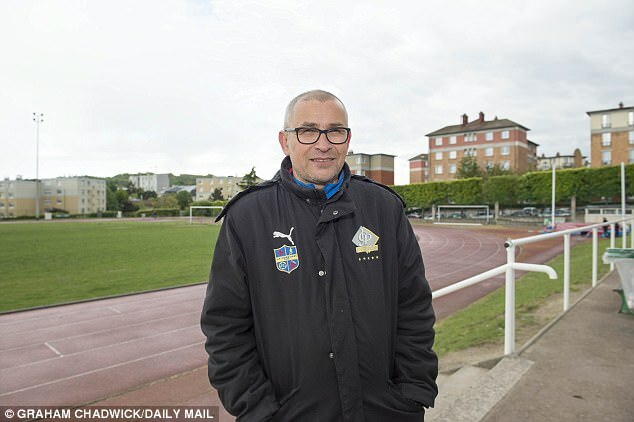 Piotr Wojtyna, his coach at Suresnes, recalls Kante winning a 3km cross-country race at the age of 11, seeing off over 100 kids from the local area. His willingness to learn continued to impress. Wojtyna explains how Kante arrived at the club with a very weak left foot but within a couple of years, he could do more than 100 keepy-uppies on that side. When he earned a move to Boulogne — a move organised by Suresnes president Jean-Pierre Perrinelle — he was placed into the reserves. 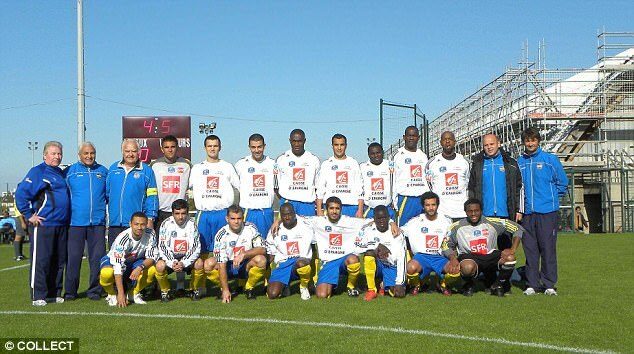 Boulogne were in the third tier of French football but Kante began to shine. He completed a course in accountancy to safeguard his future. He was among the oldest residents as he lived with other Boulogne teenagers in the bottom bunk of a room at a vocational high school, where the curfew was a strict 10pm. 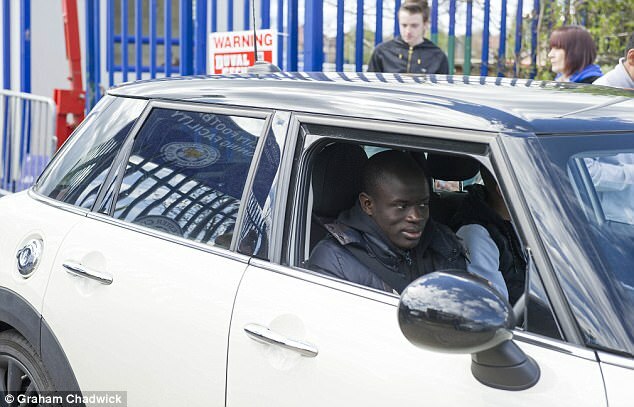 At Boulogne, Kante travelled to training in a push-along scooter until a team-mate set up a rota to give him a lift there and back. At Caen, he upgraded to a second-hand Renault Megane. Now, at Chelsea, he has a Mini Cooper. 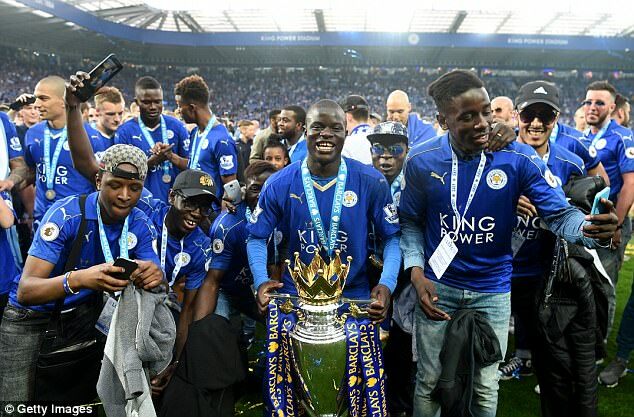 Kante’s transfer to Leicester earned Suresnes £200,000 through FIFA payouts for clubs that produce young talent. The club has bought two mobile goalposts, two minibuses to transport their young teams and also organised overseas tours of Belgium, Holland and Poland. His brother Mamari and sister Fatou are on the books and showing signs of promise. At Leicester, the shrewd eye of head of recruitment Steve Walsh, now at Everton, identified Kante’s potential. Once at Leicester’s training complex, Kante’s phone was switched off until he put pen to paper. He was essential to Leicester’s title charge and it may not be too much of a push to conclude that whichever side secured Kante last summer would have ended up as this season’s champions. Observers of his training session with Chelsea in Minneapolis in July remember how players instantly recognised his quality and gravitated to their new signing. Arsene Wenger has suggested that Chelsea’s financial clout eased Arsenal out of the running. 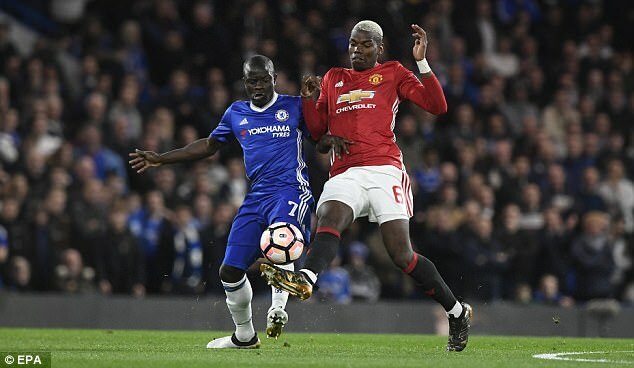 Ryan Giggs has said that Kante would have been a priority for him, had the Welshman remained at Manchester United. Instead, Chelsea moved first and sealed the deal. At the Football Writers’ dinner last week, Chelsea technical director Michael Emenalo joked that he has since sent flowers to Leicester. Emenalo added: ‘It’s ridiculous to think N’Golo can improve. Can you remember N’Golo making a sliding tackle? He doesn’t, ever. He knows how to nick the ball and intercept intelligently. It’s not because he’s 10 feet tall or has muscles popping out — he understands what he needs to do and does it right. The Kante appreciation club is growing. This time last year, Sir Alex Ferguson labelled Kante the best player in the Premier League. One year on, there can surely be little doubt.